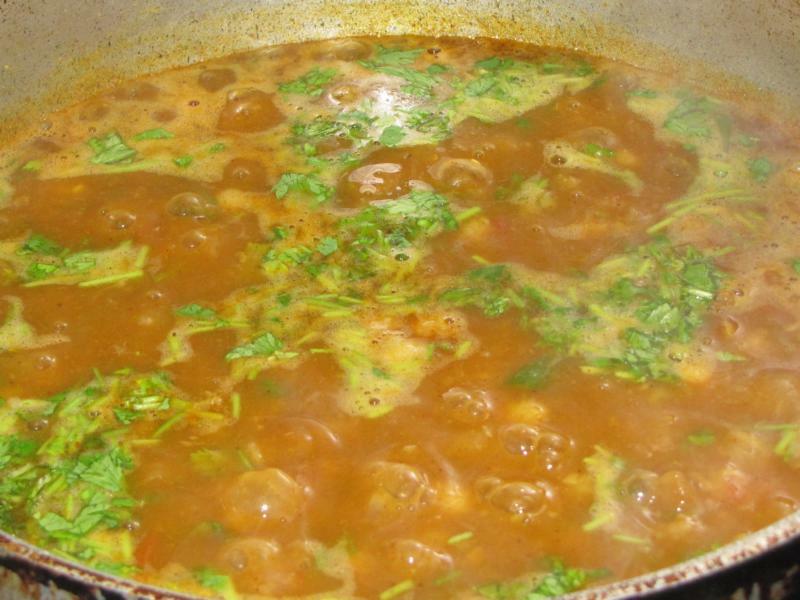 Chickpeas curry or Cholé as more commonly known in India is another favorite at home. I end up making this almost every fortnight on popular demand. Chickpeas again belonging to the legume family are high in protein and minerals. I am beginning to think, my family has some affinity for legumes with high mineral content. 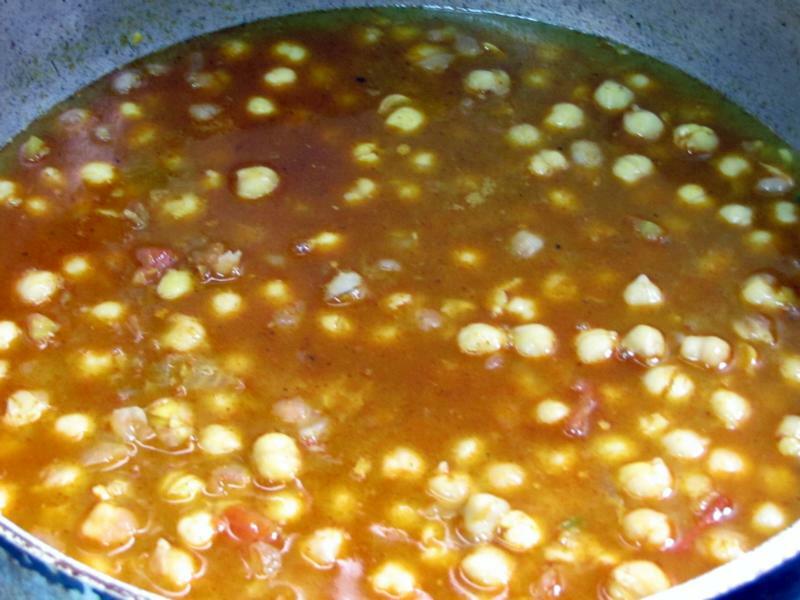 Some recent studies have also shown that Chickpeas may help in lowering cholesterol. 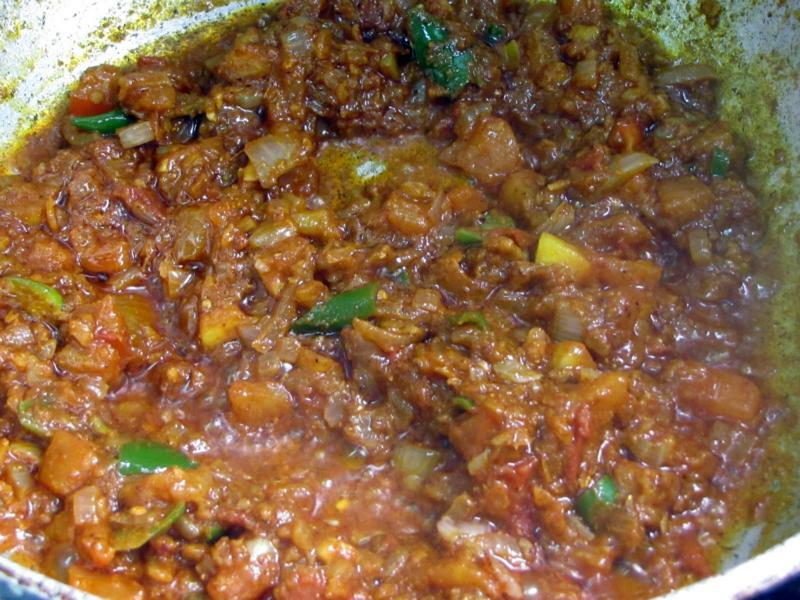 So all those people out there looking for high protein diet or suffering from cholesterol, sit up and discover a delicious way to cook these healthy legumes. A word of caution – Excessive consumption may lead to build up of stomach gas. Ahem! 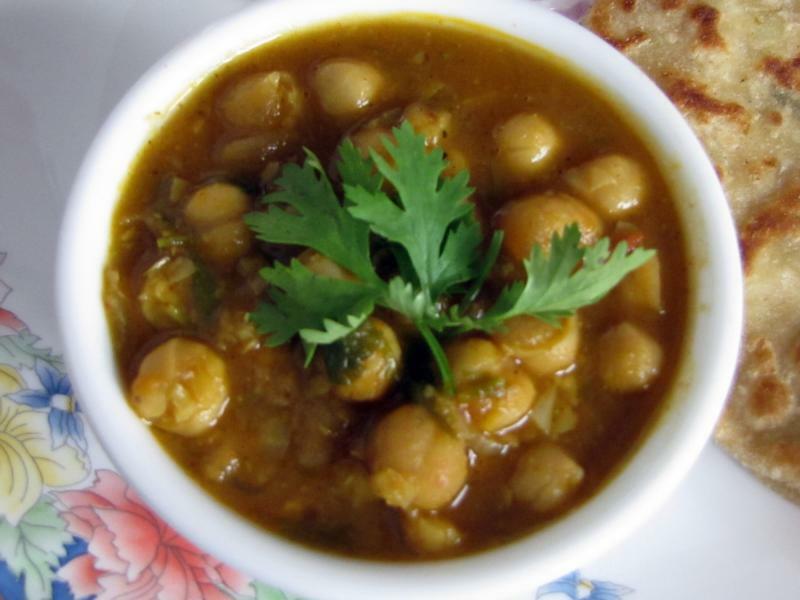 Although Chole Masala can be eaten with plain parathas, or rice, we love to have it with Aloo Paratha as the combination is absolutely killer! 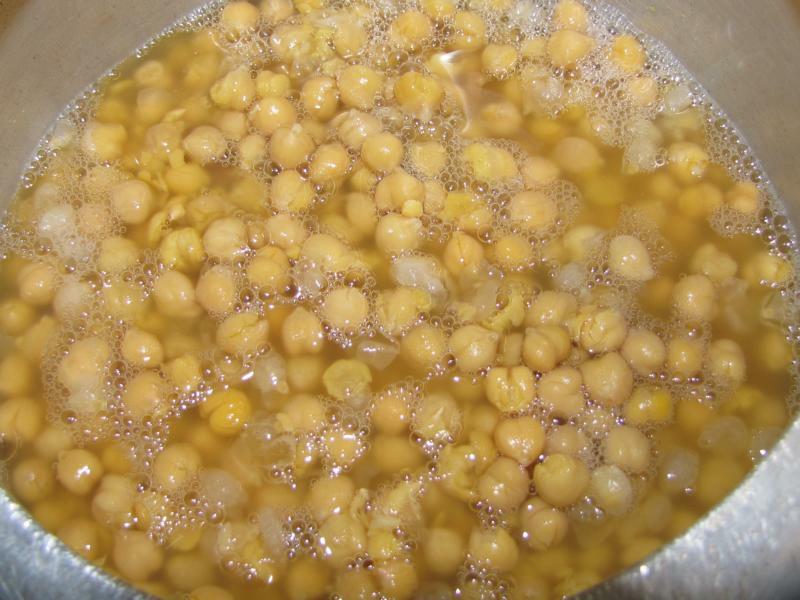 I prefer to use dried chickpeas soaked overnight in water over canned chickpeas. Using canned chickpeas may be an easier option, but they come with preservatives and they don’t taste as fresh as the dried ones. Soak them overnight and pressure cook them with double quantity of water. After the first ‘whistle’, cook on low flame for 30 minutes. They should be soft. If the water is excess drain some and keep aside for later use. 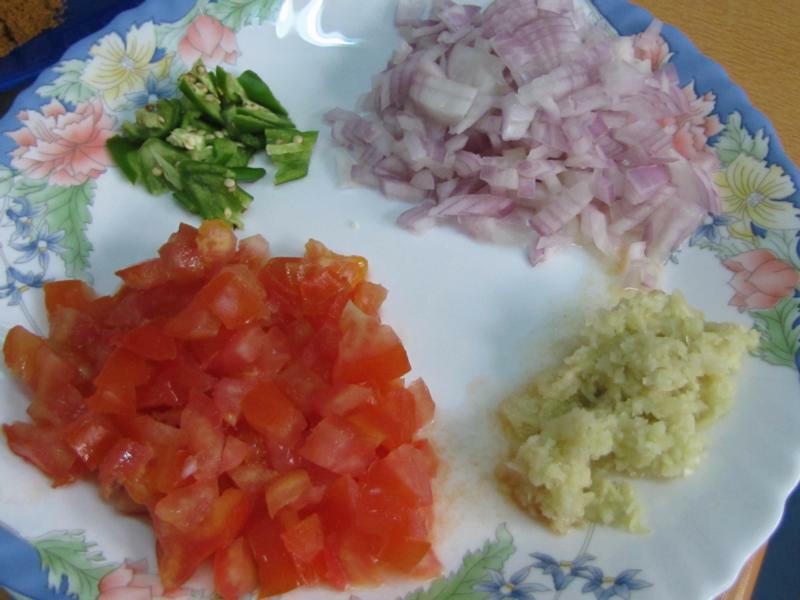 You would require Onion, Ginger garlic paste, green chili, tomato and coriander leaves. 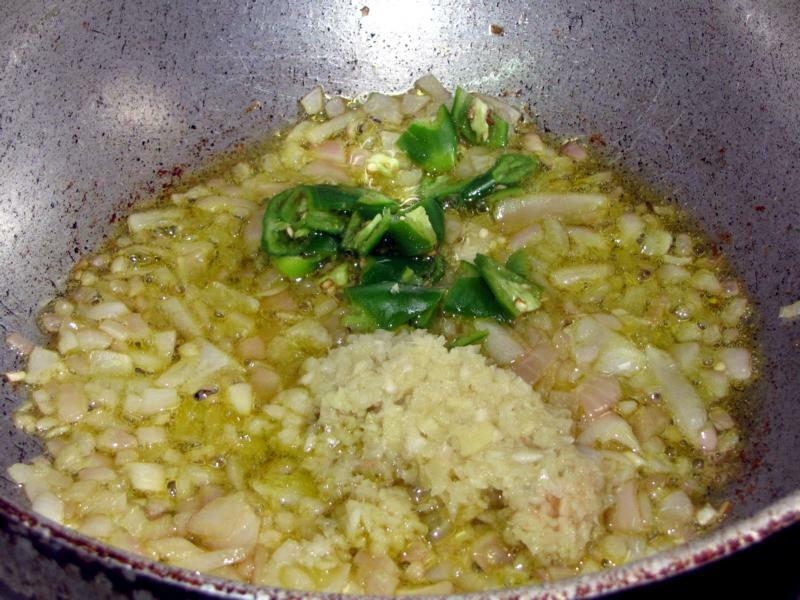 Sauté the onions in olive oil for 2 minutes. Add ginger garlic paste. Add green chili and salt to taste. 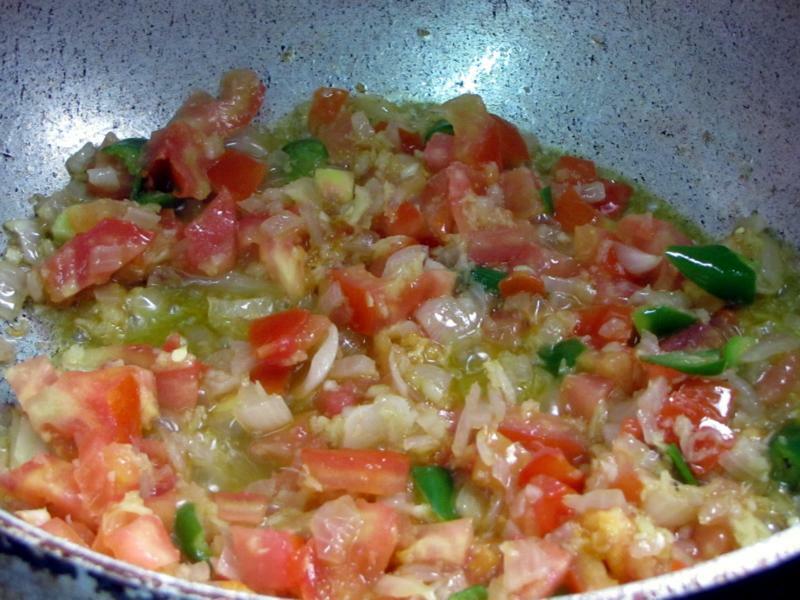 Sauté for another 3 minutes and then add tomatoes. 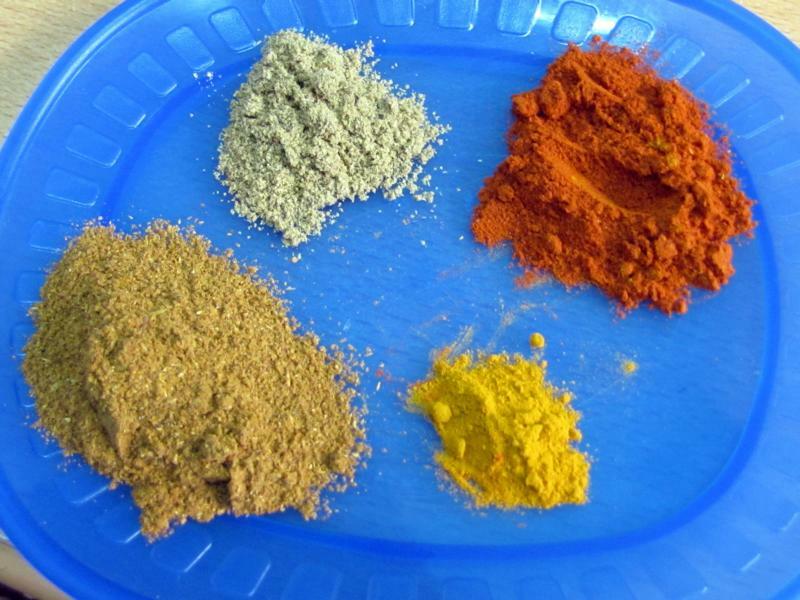 Add all the spice powders. Pour around 3 tblsp drained water from the chickpeas, so that the masala does not burn. Lower the heat and sauté till the oil separates. Now add the cooked chickpeas and let it boil. Mash some of the chickpeas with the back of the spoon so that the gravy will have a thick consistency. Don’t mash too much as it should not be too thick. Sprinkle some coriander leaves and boil for another 3-4 minutes. Heat a pan, pour some olive oil. Add onions and sauté for 2 minutes. Add salt to taste. Then add ginger garlic paste and green chili. Sauté for another 3 minutes and then add tomato. Add the spice powders. Pour around 3 tbsp water drained from the chickpeas so that the masala does not burn. Lower the flame and sauté till the oil separates. Now add the cooked chickpeas and let it boil. Mash some of the chickpeas so that the gravy is not too runny. Mash just enough chickpeas to give it slightly thick consistency not too much. Sprinkle some coriander leaves and let it boil for another 3-4 minutes. Garnish with coriander leaves before serving. Goes well with Aloo paratha or Rotis.